Investment is viable towards any industries or a combination of similar industries. But such an investment drive without the real understanding of the possible consequences can have far reaching effects on the planet. Funding a company which could provide greater returns for investment but with the cost of environmental degradation and similar negative effects can have far reaching effect on the citizens and the planet at large. It is a perfect circle where the investor itself is affected in the large scheme of things. Environment responsible investment practices are not even a topic of imagination for investors. Green Investment is the practice of employing conscious investment decisions to support industries that strives to make this earth a better place to live. We aim to channel the investment interests into industries that manufacture or service environment friendly and sustainable solutions. Such a company has the core operations dedicated to provide green products and solutions. This doesnt include companies with environment friendly drives as thats treated as a support function and the company doesnt derive income from those solutions. We assist and advice in investing in companies that makes this planet a better place to live. To know more about the investment assistance that we provide, please see the next page. We have various range of investment assistance options based on the revenue generation and green initiative concerns. Our country is grappling with a serious of power shortage and despite best efforts we are still running short to meet the supply as against demand. This adds a serious threat to environmental sustainability as any drives to increase this supply could result in more fossil fuel based power systems. We aim to bring those bright and visionary individuals who wants to resolve this energy crisis through the supply of renewable energy and thereby giving a win-win situation for both industries and nature to prospective investors. Such a startup of idea requires to be funded with much enthusiasm as the result of such an action can have far reaching effects which are much important than just the returns it brings forward. If you are a company who has own green ambitions and want to bring out the same, then we can help you to achieve the same. This is spread across various domains like wind,solar,hydrokinetic,tidal,wave etc. We will make up for the lack of technical and regulatory knowledge. Using the synergy evolved from our various divisions, we can even implement the power system for you. 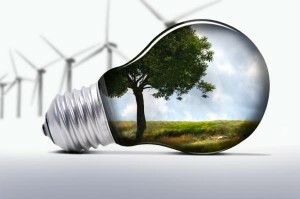 Microinvestment is a revolutionary investment facility in the field of renewable energy. The details for the same is being withheld pending the regulatory provisions to implement the same. Do watch this space later for update. 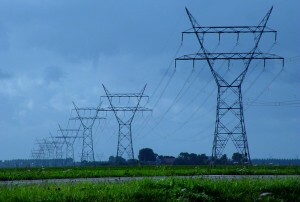 The energy sector in India has a lot of space to mature. With such opportunities brings tremendous opportunities of investment. If the data over the last 10 years are to be believed, then India will have a power shortage of close to 20% in the coming years. With the rate of strain on the existing resources and the increasing hunger for industrialization, only renewable energy stands the as the viable alternative in securing the power needs of not just India but also the world. Our insights are broadly understood as a popular finding with the masses. But its the deep down understanding of reasons, that makes us different.